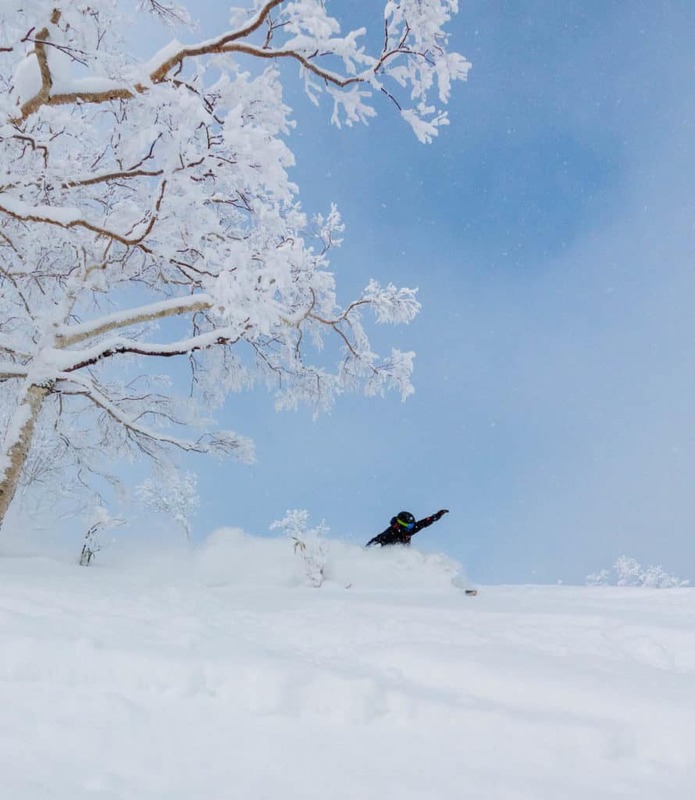 If you’re a ski or snowboard enthusiast you probably know by now that Japan’s northern island of Hokkaido is famed for its light fluffy powder. And not just a dusting, but literal mountain-sized piles of it pure powder. In truth, I’d read on one website that Furano was a great place to ski in Japan, and we decided we needed to go. However we were nowhere near prepared for what we found. 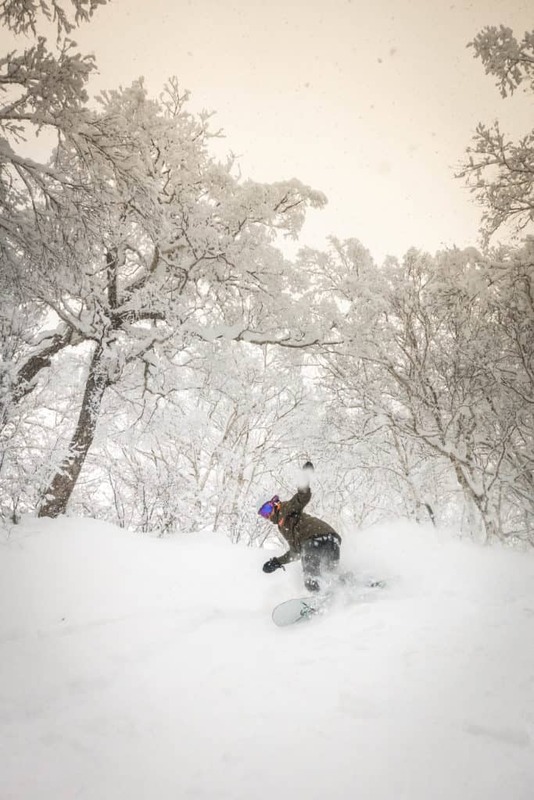 A winter wonderland of powder along with an authentic Japanese town? What’s not to love? 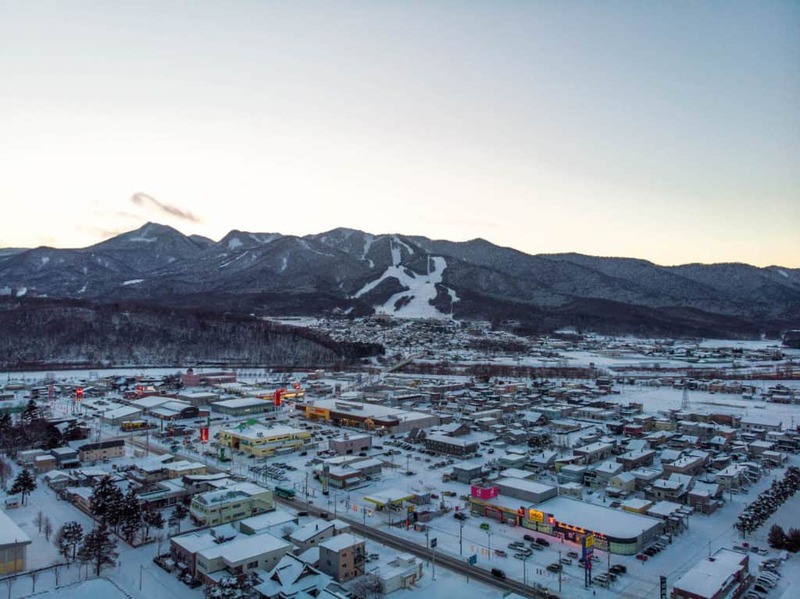 What sets Furano apart from more well-known ski resorts in Japan, like Niseko, is that it remains a Japanese town. There aren’t a plethora of hotels, gift shops, board shops, tour providers, or English speaking residents. This can be seen as a negative for foreigners, but for powder fiends and travelers this is the stuff dreams are made of. 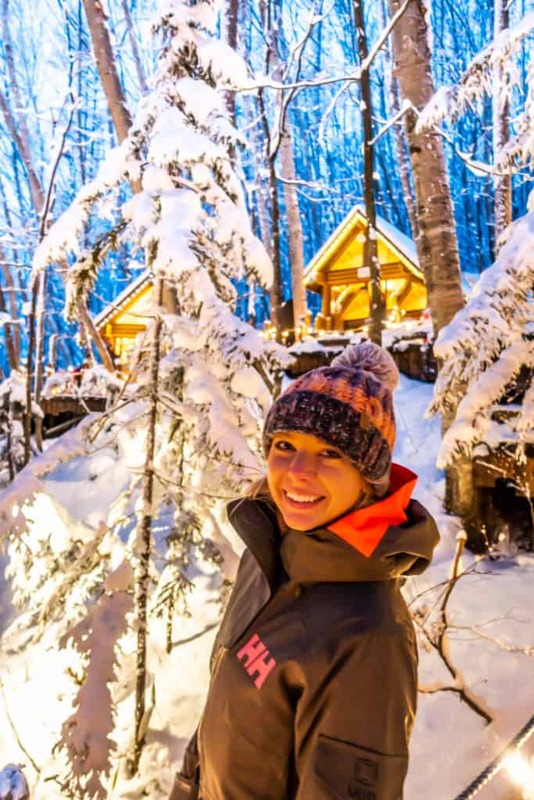 While it does not bring all of the offerings of a larger resort Furano can still cater to those seeking a winter holiday with more culture. The real draw for visitors to Furano is that legendary Hokkaido powder. 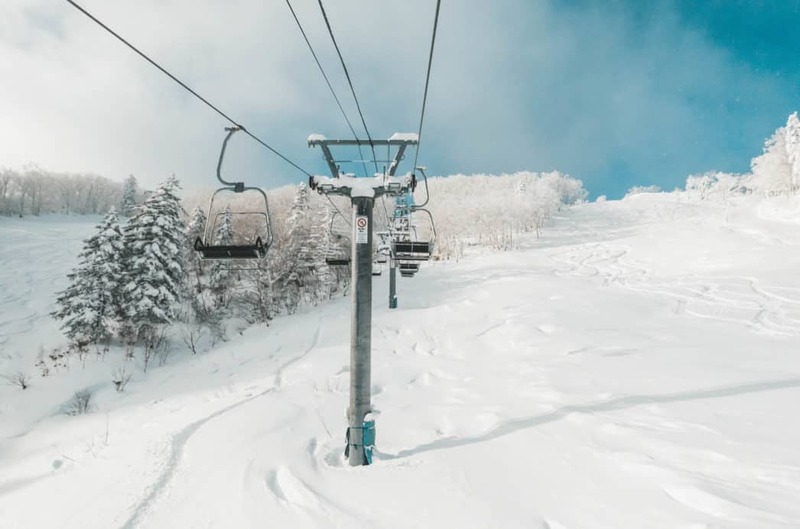 The town and resort are located in central Hokkaido and thus receive drier snow albeit less of it than the resorts along the coast like Niseko, Kiroro, or Rusutsu. 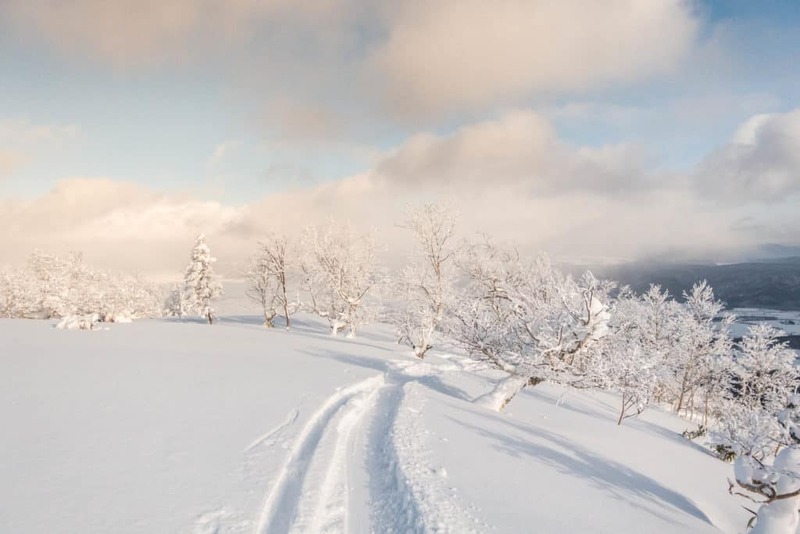 In an average year, Furano receives a whopping 9m of snow. While it’s a big resort by Japanese standards Furano isn’t massive by international standards. It has 9 lifts, 24 courses, and 974 meters of vertical, and has been on the FIS World Cup Skiing Circuit 10 times. True to form on our very first day in early December, we were walloped with a monster powder day of 50cm. Nothing like your first day of riding for the season in waist deep snow! Only a few years ago our time in Furano would have been torture as the out of bounds skiing or off-piste skiing was a strict no, no that would end in a ski pass revocation. However, several years ago the resort opened up several monitored backcountry gates and allowed off-piste skiing in the deep powder. All of that opened up tasty runs like the run below where we could find untracked snow. Granted the resort was a ghost town so even the pistes were empty and filled with fluffy powder. Our average day in Furano was amazing. We’d wake up have breakfast, trod outside, and catch a taxi up to the ski hill. Taxis from the city center run about 2,100 yen and the bus system in the early season did not start running until 11:30, which would basically ruin any day on the mountain. As the season picks up buses should run more regularly, but they do stick to a strict schedule. We’d pick up our tickets from the gondola station and then head up the ropeway. A short ride later we’d be standing on top of a nice run that had easy untracked powder in reach. 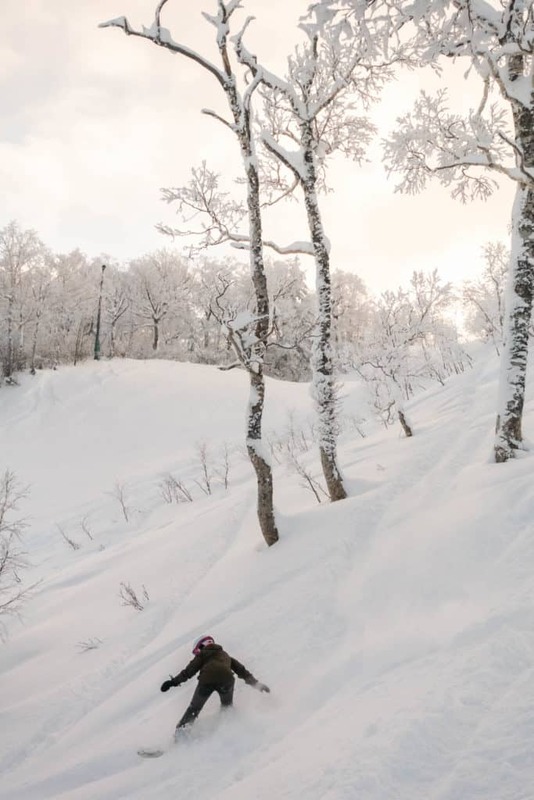 We’d cut a line through the trees or cross through the backcountry gate and ride the ridge back down into the resort screaming through deep Japanese powder. After several runs, we’d hit up the Furano Downhill restaurant for some udon noodles, perfect for warming up in the cold Japanese winters. Winter conditions here really cut right through you. After a nice meal, we’d hit some top to bottom runs as the resorts get a little quieter in the afternoon. The resort is known for some amazing long groomed runs and if you want to cruise or ride as fast as you can this is the place to do it. Then with a quick Gondola, five minutes, back up to the top we could squeeze enough laps to make our legs turn into jello. The perfect lead up to what would follow, a cup of coffee in the lovely Ningle Terrace and soak in the onsen at the base of the New Furano Prince Hotel. If you’re not familiar with Japanese onsens, they’re amazing and a right of passage in Japan. 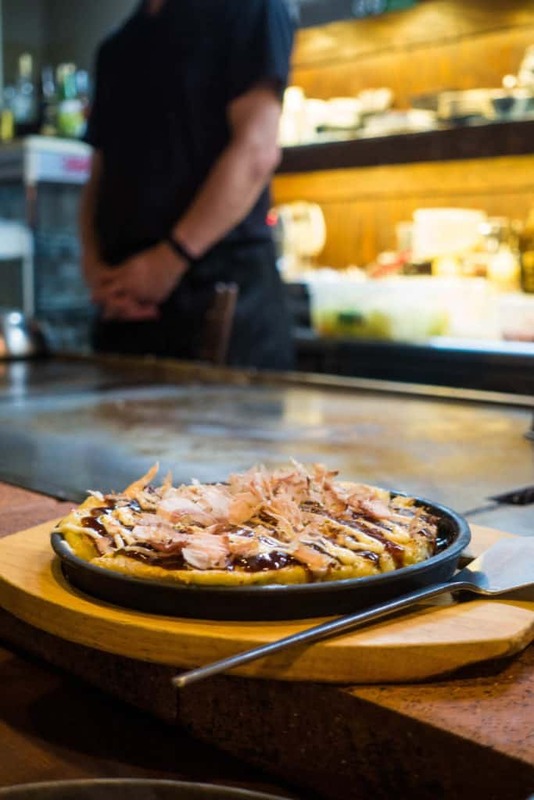 Evenings would involve wandering around the town of Furano before heading somewhere tasty to eat like Masaya, a teppanyaki restaurant with an English speaking chef/owner. It was JAPOW at it’s prime and we fell in love so much so that we’re already planning our next trip back. We have made a promise to ourselves to return every year to indulge in the powder, food, and culture that Japan is famous for. The area and resort have so much to offer for skiing that you could easily spend one-two weeks based in town exploring and riding deep powder. Furthermore, the resort is great for any skill level and with an interesting town and countryside, anyone will have a great time here. Where is Furano Ski Resort? 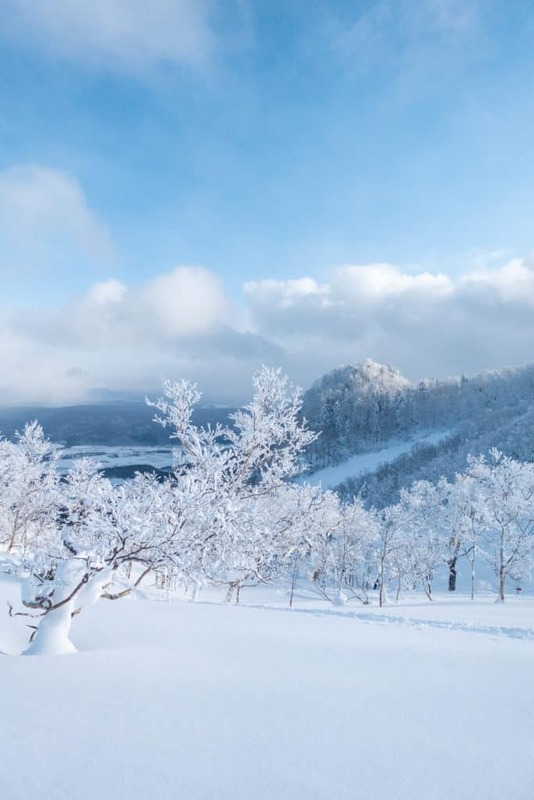 Furano is located in the center of the island of Hokkaido in Northern Japan. 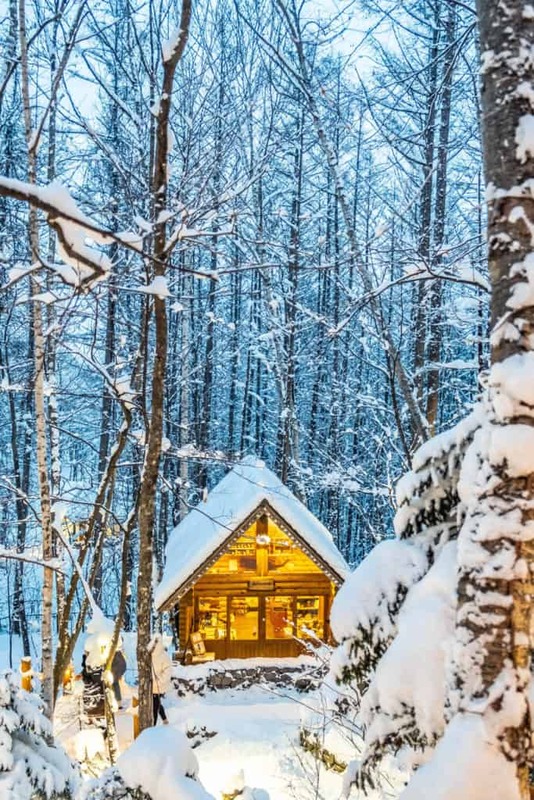 It’s about an hour south of Asahikawa and two hours from the capital city of Sapporo. How to get to Furano? The only international airport on Hokkaido is New Chitose Aiport. They have direct flights from China, Korea, and Taiwan so if you’re coming from the West Coast or Australia you’ll be routed through Incheon or Taipei most likely. We’ve flown on both Korean Air and Eva Air (Taiwanese airline) and prefer Eva Air if you have your choice of airline. We landed at the New Chitose Aiport in the evening so we had to spend the night in Chitose. This is very common for visitors as the buses and trains that link the ski resorts in Hokkaido stop around 6:00 p.m. so you’re left with a hotel room or very pricey private transfer. We found a good deal at the Best Western and thought the rooms were small (like most Japanese hotels) but clean and comfortable. From the Airport the best way to get to Furano is the Resort Liner. It’s generally advised to book tickets in advance, especially during the high season. We were there in the low season and found ourselves booking the last seats available. We paid 4,000 yen a person one way to Furano. The bus drives direct to Furano with one pitstop for the bathroom and snacks in Shimukappu and stops at a number of hotels in town and the resort. It’s best to book tickets in advance as they’re prone to selling out. Head over to their website to book tickets online. Alternatively, you can take the train from Sapporo, but it’s impractical with skis or snowboards and your luggage in the winter as it involves a few transfers. The cost is about the same unless you have a JR Pass while traveling around Japan. Once you’re in Furano the only ways up to the ski hill from Furano town is a private taxi, bus, or rental car. A rental car is the best way to get around Hokkaido as their train system is more limited than the rest of Japan. However, we found out the hard way that the only way to rent a car is with an international drivers license obtained in your own country (Americans can do this through AAA). Where to Stay in Furano? There aren’t a wide option of places to stay in Furano, but visitors do have a varied selection in Furano Town. You can choose from guesthouses, hostels, hotels, and even a few apartment offerings. This is quite different than many other resorts on the island that only offer a couple of hotels at the base. 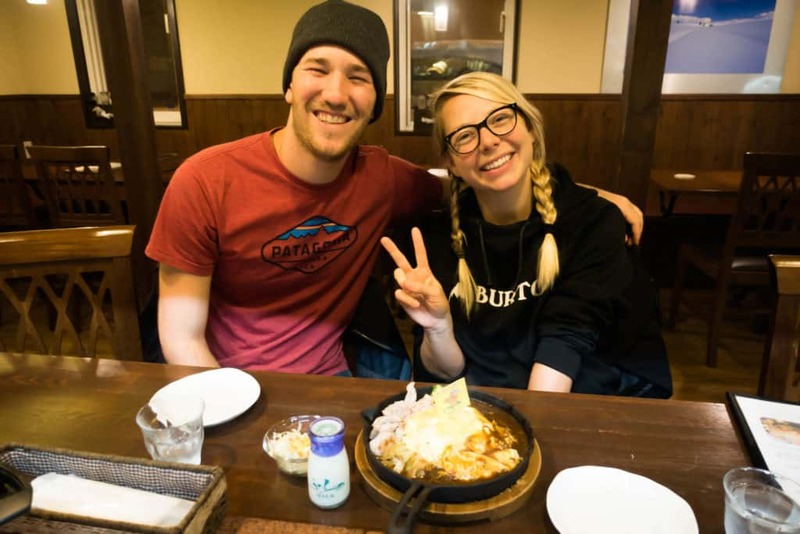 This makes it a great option for backpackers looking for a place to enjoy Japanese skiing. We chose to stay in a private room at Hostel Tomar for eight nights. It’s a brand new hostel with friendly staff, clean facilities, fast Wi-Fi, and a large kitchen to cook your own meals. It was also one of the best rates we could find in town, and give a discount of 10% if you book a week or more. It was a nice surprise after we booked online and then received the discount at check-in. Everyone we talked to loved the hostel, and we highly recommend. There several other hotels and guesthouses spread around town like the Furano Natulux hotel. The other distribution of hotels lies in the Kintotame base area. Prince Hotel is a large Japanese hotel company that owns the resort and has a hotel at the base of the two main resorts areas. The New Furano Prince Hotel is the newer and more luxurious hotel with small ski village and shopping area called the Ningle Terrace. Depending on the season rates are around 20,000 yen a night. In the Kintotame Base Area lies the Furano Prince Hotel, it’s a more dated three-star hotel with direct access to the gondola. 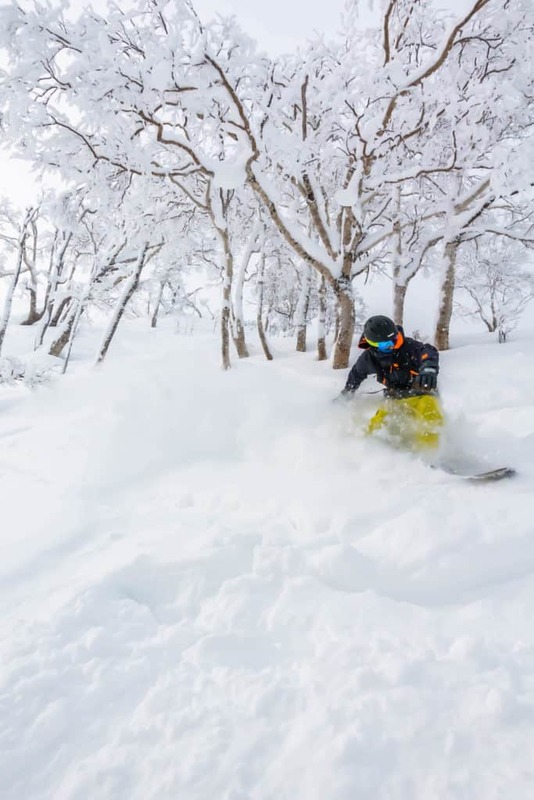 If you’re skiing early or late in the season keep in mind the Kintotame area does not receive as much coverage and typically opens later and closes earlier in the season. So you might not receive ski-in-ski-out conditions at the Furano Prince Hotel outside of peak season. Where to Eat in Furano? There are a few expensive restaurants in the New Furano Prince Hotel and a smattering around the Kintotame Base Area. However, the best restaurants with the widest selection and best prices lie in town, so if you’re staying at the base it’s best to venture into town for dinner. Here are a few of our favorites. Yuiga Doxon — This Japanese curry spot is the most popular with visitors and it’s a real gem. From the outside, you can’t even tell if it’s a restaurant. 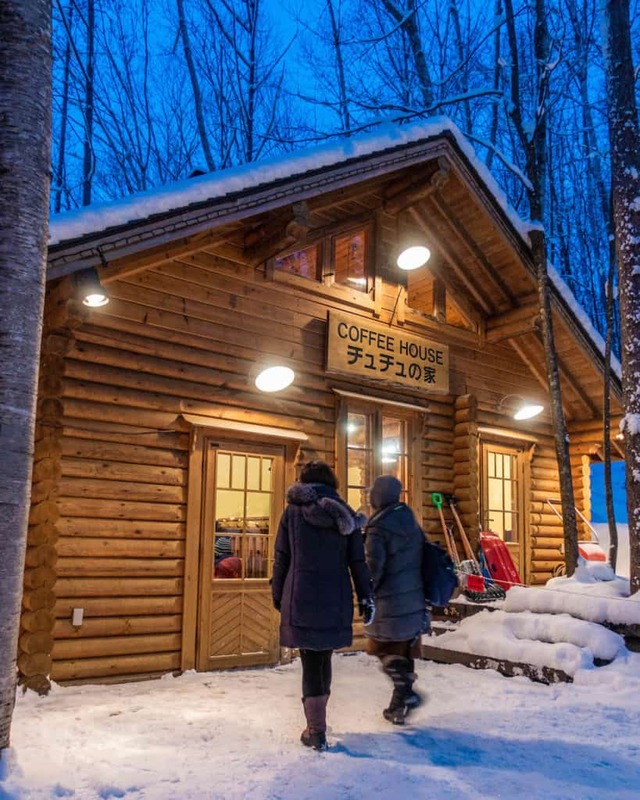 However, once you step inside you’ll find a cozy cabin in the middle of Furano town. I went with the curry omelet and it did not disappoint for a post-ride meal. Kaiten Sushi Topical — The best conveyer belt sushi in town! Prices are reasonable too with some of the best we had in Hokkaido, still slightly more than Honshu (mainland) ranging from 150 yen – 500 yen per plate. Masaya — This place is run by Masaya, it’s his place, he’s lived in North America for over a decade so his English is great and he’ll put on a bit of a show for you. Excellent Japanese teppanyaki! We’re not meat eaters, but his pork spare ribs even had us drooling. The first day we went to ride in Furano we picked up lift tickets at the Gondola for 5,750 yen which comes to about $53, a whole lot cheaper than North America. However, on the second day up we met some of our fellow hostel mates from Taiwan who informed us the tickets could be purchased online for much cheaper. They were kind enough to let us buy their extras that day, but the following days we were able to purchase tickets on the Prince Hotel web portal for 3,700 yen, saving us a ton of money after a week of riding. You can find the portal to buy tickets online with the button below. They may not offer the discount online during high season, but it’s well worth the try! Need Transportation? See the best ways to get around Asia here. Travel Insurance: We never travel without travel insurance with World Nomads. Natasha is a bit of a worry wart and would rather stay safe than sorry. World Nomads offers incredible flexible and great plans! Water: The tap water in Japan is delicious! Bring a travel water bottle so you can fill up right from the tap. Guide Book: Sometimes it’s nice just to have a real book in your hands when traveling. We recommend the Lonely Planet Japan guidebook. Adapter: Japan mainly uses the Type A plug like North America, but there is generally no socket for the grounded portion. Make sure you find a good universal adapter like the one I have to keep you charged. Otherwise, you may struggle to find one once you land. All the reasons I love Japan! Hi folks, we are headed to Niseko tomorrow meeting friends. If we had read your research, maybe Furano would be more economical! Next time we will try Furano. Thanks for the info. 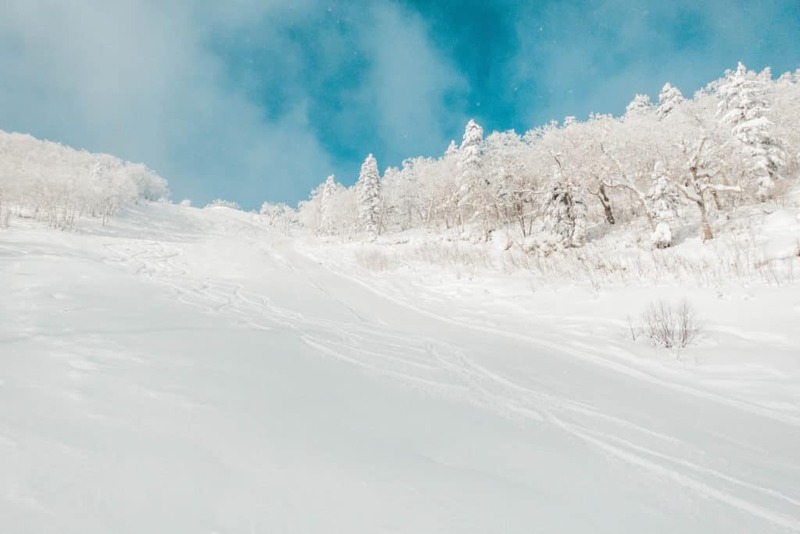 Furano is certainly a cheaper ski resort and it’s an authentic Japan experience. 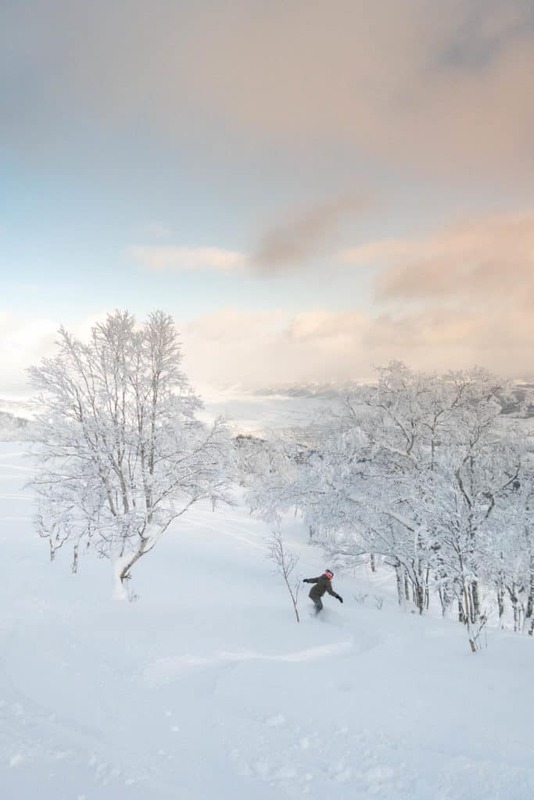 However, Niseko is still the powder capital of the world. You’ll have a blast!